Will Davison is settling into his new TEKNO Autosports Triple Eight-built V8 Supercar and is encouraged by yesterday’s top 10 finishes in practice in Tasmania. Triple Eight has traditionally been strong at the circuit, having won the last six consecutive races at Symmons Plains, which Davison sees as a good omen. The 33-year old and former Championship runner-up is still developing his style in the car and while he does expect to achieve results at the team, explains it’s not as simple as getting your hands on a Triple Eight car and driving into the distance. 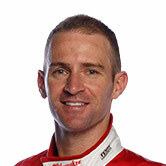 “It’s not as easy as people think – just jump in a Triple Eight car and away you go,” he told v8supercars.com. This year it’s a new-look TEKNO with van Gisbergen shifting next door to Red Bull and Steve Hallam departing. This is the team’s first weekend without the respected team manager, but Davison believes the group has soaked up any extra responsibility and will run like clockwork. “Nothing’s really changed – he was clearly a really respected member of the team,” Davison said. “It feels like everyone will carry everything he taught through. You can see everyone is upholding his attitude and structure. A format change today is a positive for Davison – but it wasn’t the longer race he noted. “Yesterday was the first day we actually didn’t practice and qualify on the first day [of the event],” he said. “Clipsal was practice and qualifying straight away, no time for changes, and grand prix was the same. “Yesterday we had a good couple of hours of actually working through some of the things we tried at the grand prix – more of just what works for me, what combination of a couple of the setups work for me and what I need to adapt in my style. The V8 Supercars have a final practice session at 11.20am local time, before a 15-minute qualifying session and 120km race at the Tyrepower Tasmania SuperSprint.